A very happy Christmas to all…safe journeys to those who have to travel and spare a thought to those on their own or missing loved ones. We wish you a happy, healthy and peaceful New Year. Should Sand Quarry proposal be called-in by Sec of State? Should objectors to the proposed sand quarry on New Platt Lane be writing to the Secretary of State with their reasons in support of a call-in of both applications? CW&C are recommending approval on the 8th Jan – and CEC have already approved the plans – but there is an interesting point in the related documents on the Agenda (link to page, see Item 5). 6.129 ……. 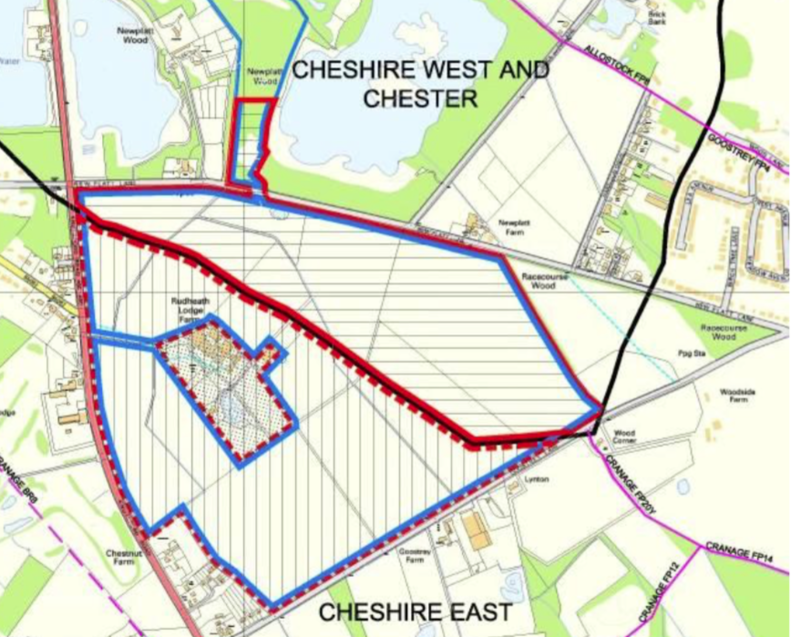 Cheshire East Planning Authority resolved to approve their application at their Strategic Planning Board on 4th April but has referred the application onto the Secretary of State as it is considered to be a departure from the their development plan. The Secretary of State has confirmed that they wish to consider calling in both applications for a Public Inquiry together, that is, the applications before Cheshire East and Cheshire West and Chester Planning Authorities to consider the Rudheath Lodge Quarry site as a whole. Therefore, should this planning application be approved by the Planning Committee, the Authority would be unable to grant planning permission until the Secretary of State has considered the application. New information (against the plans) is to be put to Cheshire East in the new year however they are not legally allowed to change their original votes! Best wishes to all for Christmas, we hope everyone has a wonderful week. What to do with the tree afterwards? Simply register with St. Luke’s Hospice Christmas Tree Collection and they will come and collect it. Over 642 trees have already been registered – giving over £8000 towards patient care! How to register your tree….. Simply, go to their website and enter your postcode here. Complete the form and make a donation if you wish. At collection time (10th-13th), just leave your tree outside and the trusty volunteers will do the rest! If you wish to attend the meeting will take place at Room G1, HQ Building, Nicholas Street, Chester, CH1 2NP and starts at 4.00pm. There is parking opposite. One representative of objectors would have the opportunity to speak at the meeting, and one of support. The application has not yet been considered by Cheshire West and now new objections have been raised by Garnett Farms. They put the case that the water table in the area will be lowered if the Quarry goes ahead; in particular the water level in New Platt Mere would drop. This has resulted in a number of new technical documents between the Environment Agency, Sibelco and others – which can be found on the following link to Cheshire West website under 17/03104/MIN. The Sibelco rebuttals (but not the other documents) have appeared on the Cheshire East planning website in the last few days and are open to public consultation with a closing date of 3rd January 2019, the planning application number is 17/3605W. (click link). After a number of re-schedulings the latest date for the Cheshire West Planning Committee is 8th January 2019. Interestingly Cheshire West have also published a document from Sibelco entitled ‘Electromagnetic Compatibility Scheme’ which shows that the background level of radio emissions are higher than those specified by JBO, even before any works are started. Although Sibelco have asked for a response from JBO, there is nothing showing on either CEC or CW&C websites. The last copies of the DVD of the charming conversation that was recorded at the “Afternoon Tea with Mrs Kettle” event in June are on sale at Goostrey’s Post Office from today. A lovely Christmas present for friends in Goostrey…only £5 a copy. Many were sold at the Christmas Lights Switch-On event at the Bogbean last Sunday, but there are a few left over.